Welcome to Florida Trail Running! 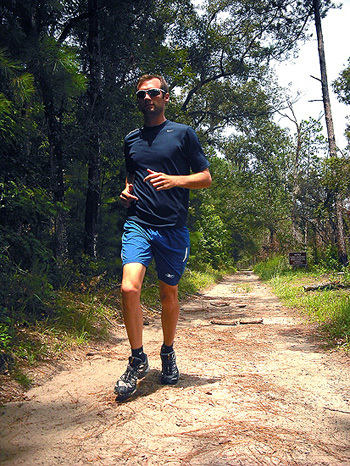 You will find information on trail running gear, trails, race calendar, and photo galleries with a focus on north central Florida although as this web site grows, so will the geographical range. As this is a web site in progress, please check back often for updates! There are so many reasons to leave the pavement behind... cars, pollution, noise, etc. Trails offer peace and solitude, a refuge to get away from it all even if for only a 10 or 15 minute jog through the park or an ultramarathon of more than 26.2 miles in backcountry wilderness.